Grew Up… in Texas, Colorado, and Arizona, although Buckaroo was born in London. Buckaroo’s scientist parents traveled a lot for their work throughout the American West. At a young age, Buckaroo’s parents were killed in a tragic jet car experiment due to a bomb planted in the car. He was raised by his parents’ colleague, Professor Toichi Hikita, and learned many skills ranging from playing the electric guitar to driving race cars. Living… somewhere in the middle of the Texas desert. Although Buckaroo has traveled all around, he is currently working on a new jet car project in the Texas desert, and hopes to pilot the car so fast that he will be able to drive through solid matter. Profession… neurosurgeon, particle physicist, race car driver, comic book hero, and rock star. Buckaroo is world famous for being a true renaissance man. He has a band named the Hong Kong Cavaliers, where he played electric guitar and wrote songs in a dozen different languages. He keeps company with other intellectual friends like himself. Interests… everything. A jack of all trades, Buckaroo enjoys building and driving fast cars, studying and speaking multiple languages, shooting guns, and rocking out in his band. On top of all this, he still finds time for philosophical and academic inquiry. Relationship Status… widow. Buckaroo married his wife Peggy Banzai, but she was tragically murdered by Buckaroo’s nemesis Hanoi Xan immediately after sealing their wedding vows. Now, he’s seeing Penny Priddy, but he can’t possibly take her on the dangerous trip across the 8th Dimension and must the journey alone. Challenge… saving the world from the aliens from Planet 10. When Buckaroo successfully drives his jet car through solid matter, he crosses into the 8th Dimension. That’s where he encounters the Black Lectroids and the Red Lectroids, who are battling for supremacy on Planet 10. The leader of the Black Lectroids tells Buckaroo that he must stop the leader of the Red Lectroids, or else he will cause World War III on Earth. It’s up to Buckaroo and his crew to battle across the 8th Dimension and protect the world from peril. 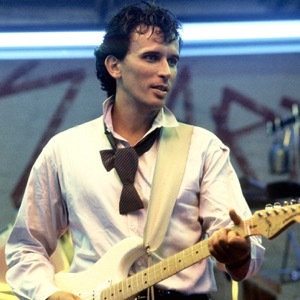 Buckaroo Banzai's popularity ranking on CharacTour is #3266 out of 5,000+ characters. See our top-ranked characters and read their profiles.